Neil Thomas Smith is second-year PhD student in the Department of Music supervised by Professor Robert Adlington. His research focuses on German contemporary composer, Mathias Spahlinger. 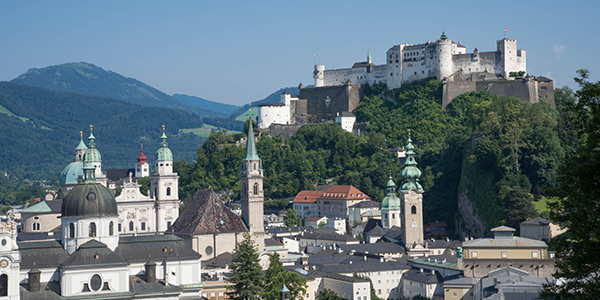 Roche Continents takes place in the context of the Salzburg Festival of classical music with over 100 students from 36 countries brought together for a programme of lectures, workshops and evening concerts. After seeing the event advertised by the Graduate School, and after selection both as the University’s candidate and then by Continents itself, I was able to join a group that comprised a mixture of science and arts students. The intention is to break down the barriers that often exist between the two disciplines in order to discuss creativity and innovation. This interdisciplinary approach is a hallmark of the huge pharmaceutical company, Roche, who run and fund the project, as well as being a major sponsor of the festival. This explains the desire to cultivate innovation as they are constantly trying to make the next breakthrough in the fast-moving world of pharmaceuticals. It explains, too, the occasionally luxurious treatment the Roche participants are afforded: whether it be the dinners, opera and concert tickets, or nightly late night ‘reflections’ (a term which quickly became a euphemism for long discussions at the free bar). As a composer and researcher on contemporary music, it was also a joy to hear the concerts, which included the French Ensemble Intercontemporain and Daniel Barenboim with his West-Eastern Divan Orchestra. The hills were indeed alive, though in this case with the sound of modernist titan, Pierre Boulez. For some this was a challenging introduction to new music, but it was a pleasure to talk with so many people about why such music might be the way it is – and to find that many increasingly enjoyed the concert experiences. What was striking about this gathering was the common ground arts and science students found. Use of technology, striving for accuracy and beautiful simplicity are as much a part of one field as the other. 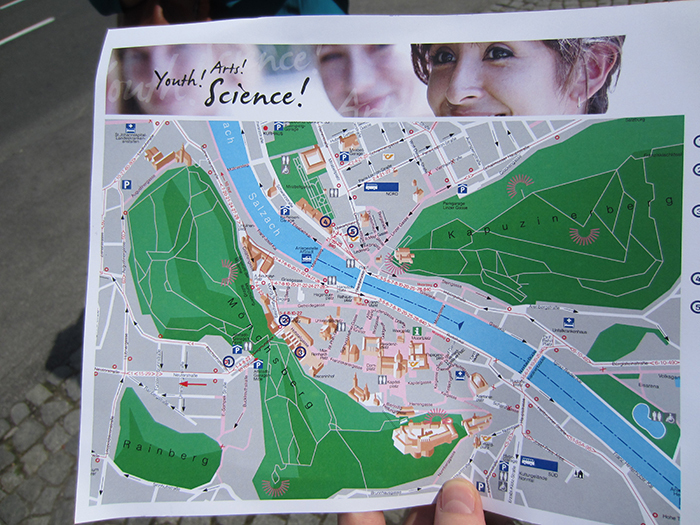 Continents is in part about Roche setting out their stall as a company of creativity, extending an offer with which many of the scientific participants were quietly impressed by the end of the week. As for me, it reminded me how inspiring scientific concepts can be for artistic creation, even quite complex or rather dry-sounding mathematical models. I was also able to meet some fascinating artists working at this interface whom I hope to incorporate into my further studies at Nottingham.